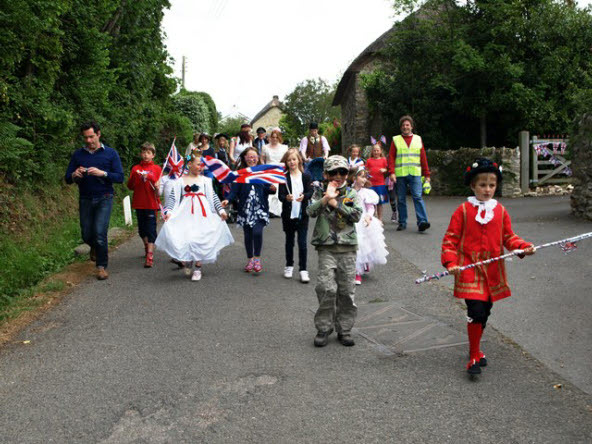 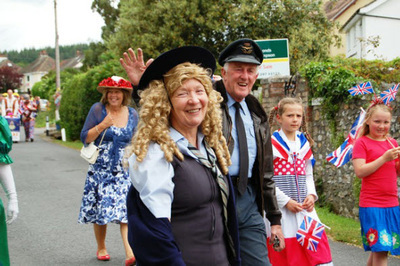 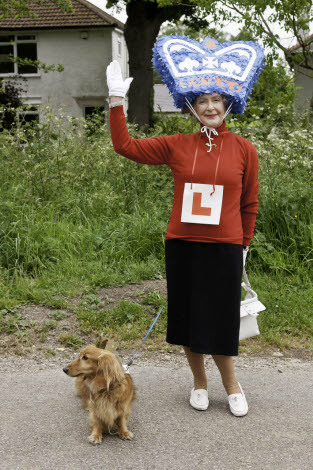 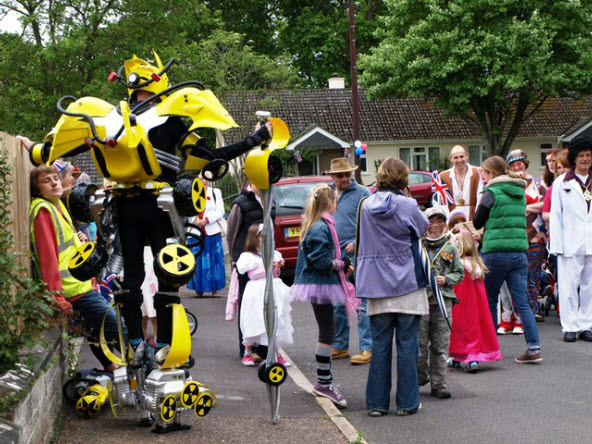 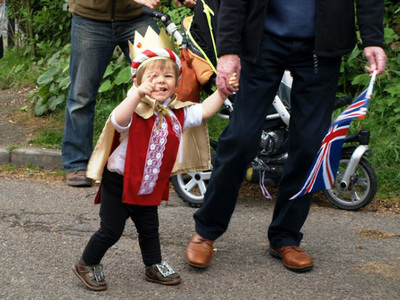 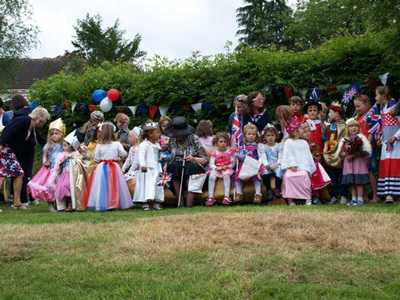 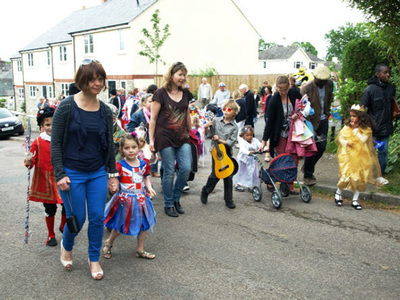 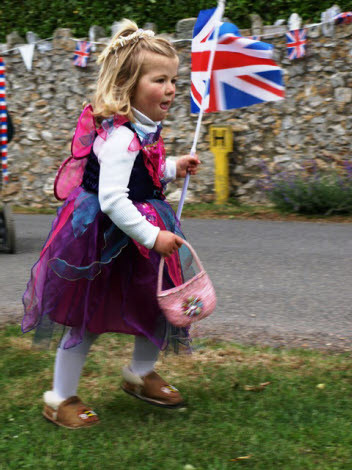 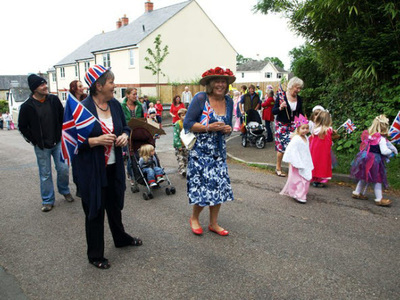 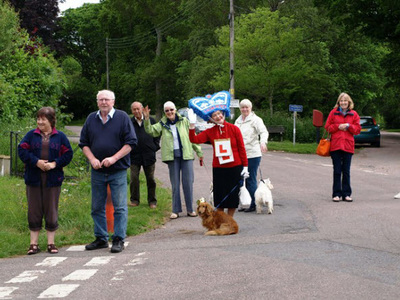 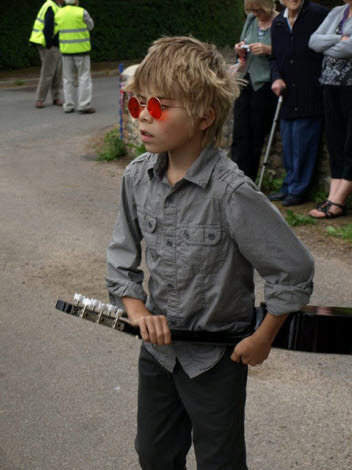 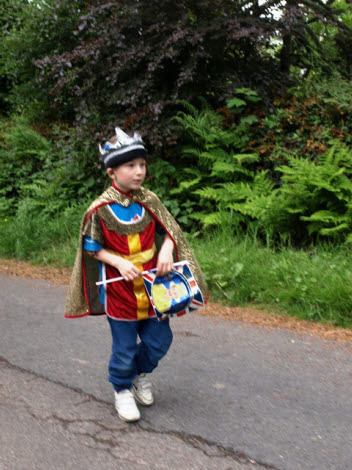 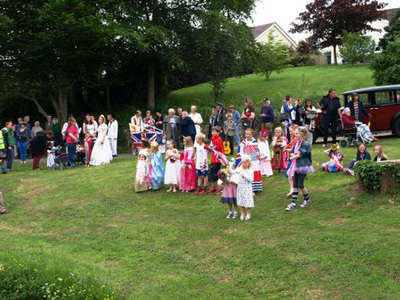 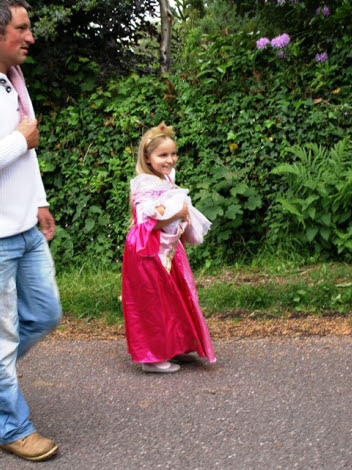 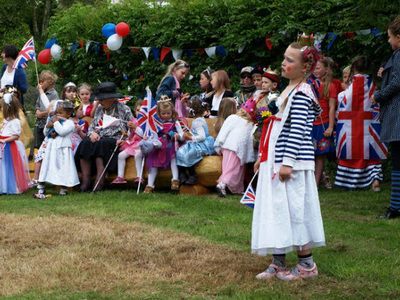 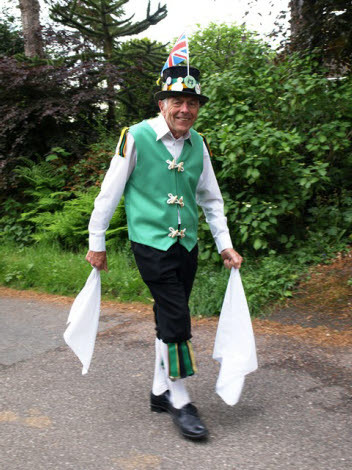 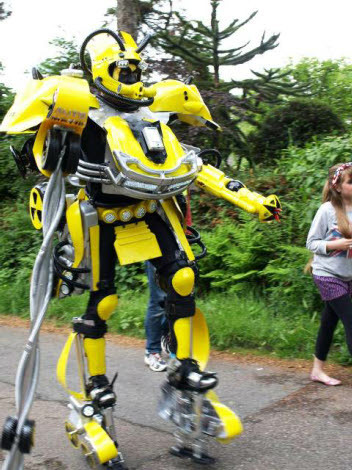 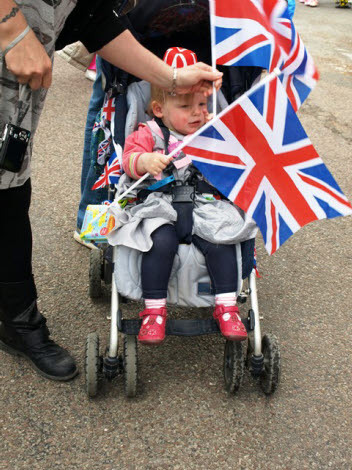 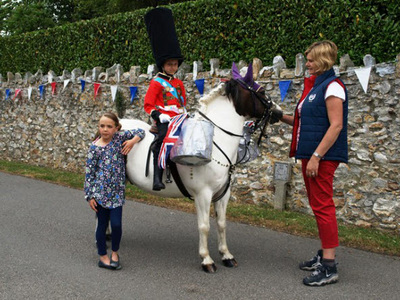 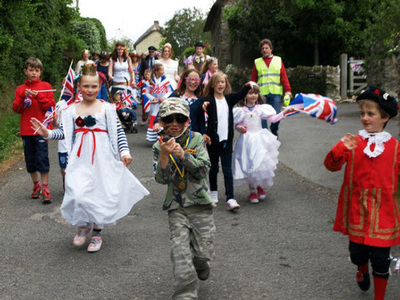 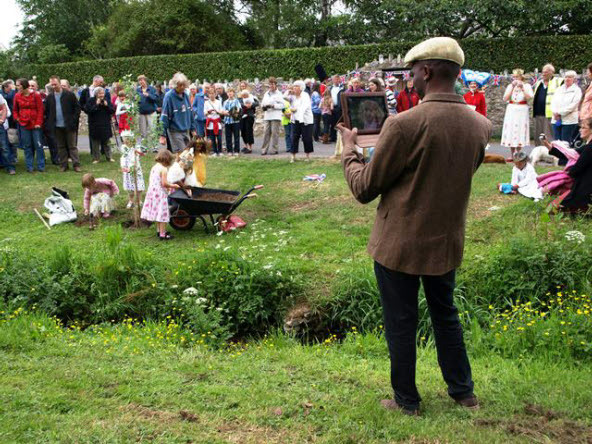 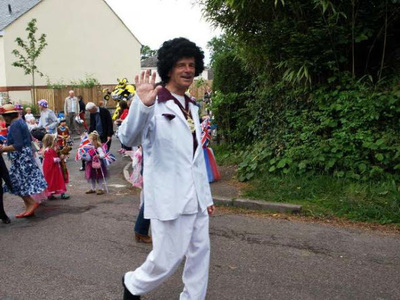 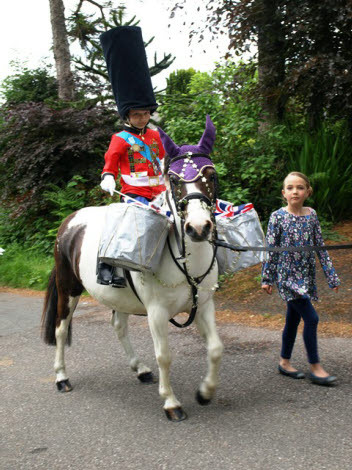 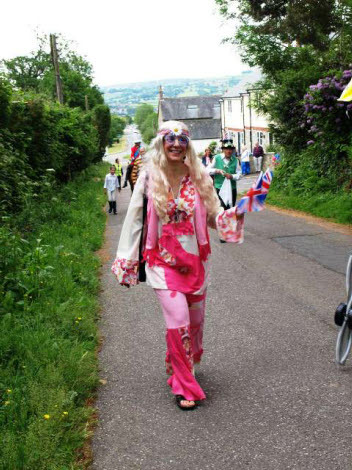 A Royal themed Fancy Dress Parade on Monday June 4th formed up at The Crescent and processed through the Village with Charlotte and Amelia Chadwick on their ponies with adults and children in some very innovative costumes. 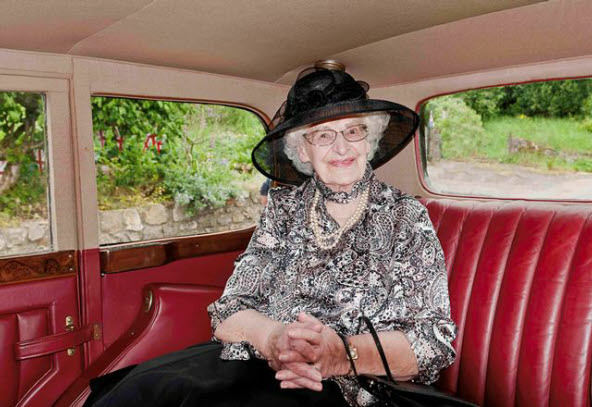 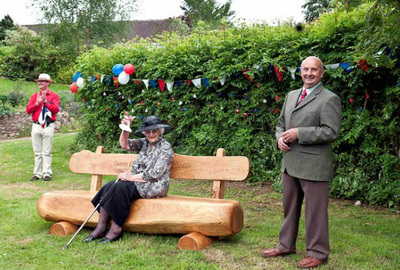 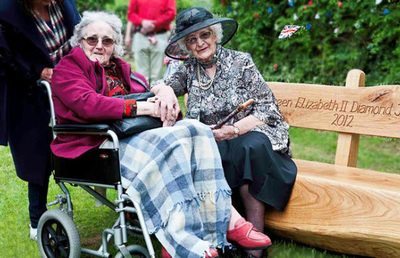 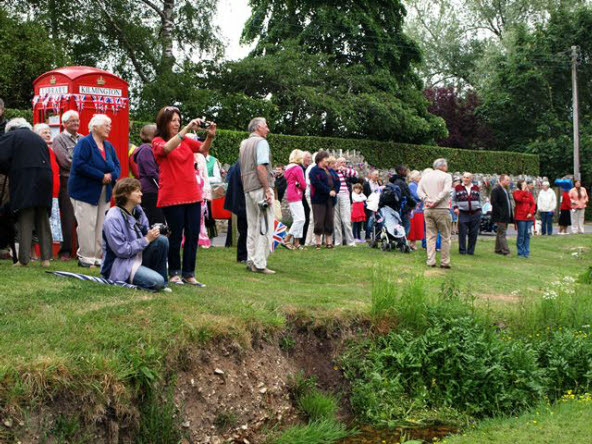 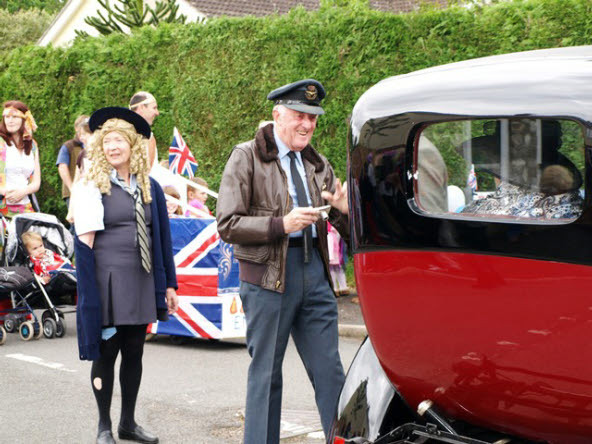 After reaching Jubilee Green, Vera Hoskins, aged 98, who was born in Kilmington, escorted by Michael Collier, arrived in a vintage Rolls Royce borrowed from Robert Crabbe, and inaugurated a beautiful Diamond Jubilee seat made from sweet chestnut and oak by Mark Jones which joined the other seats commemorating the Silver and Golden Anniversary seats. 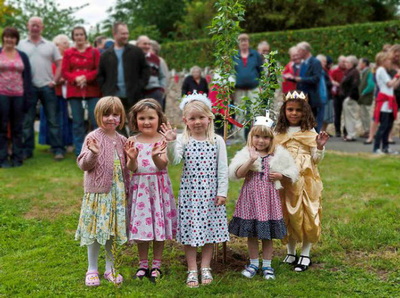 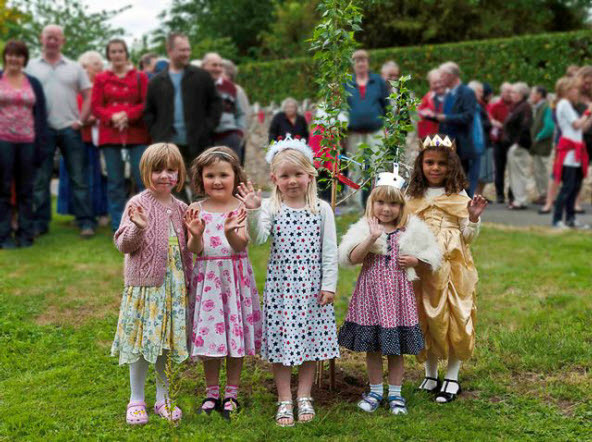 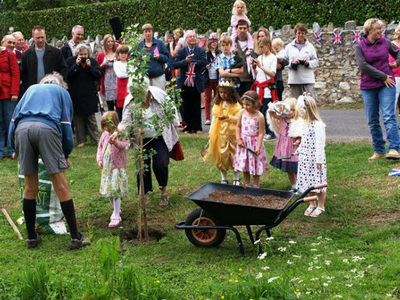 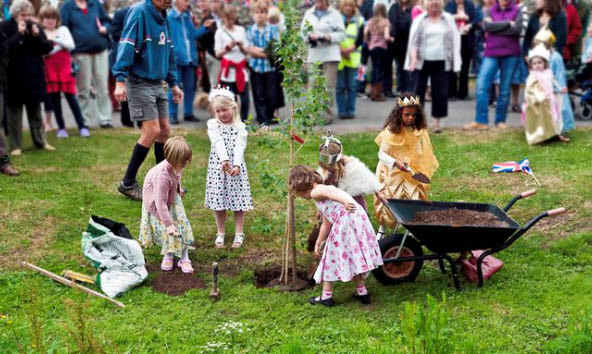 Five of the youngest Kilmington children from the Primary School then helped plant a “Black Poplar” tree bought specifically to mark the Diamond Jubilee.